It’s International Jazz Day today, and everyday. It’s International Jazz Day and we have once in a tricentennial offers from our artists straight from where Jazz was born, New Orleans! Visit our online shop. 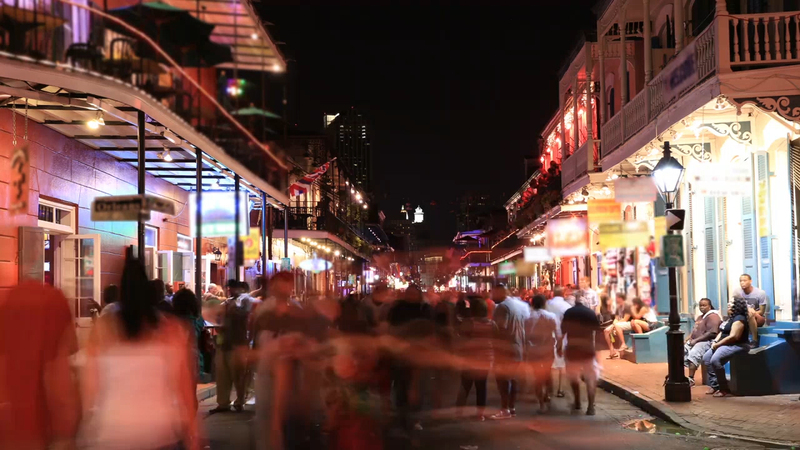 We are New Orleans Music. Please print 100 or so of these and pass them out for us. That would be awesome! We’ve put all of those new products out since October. Click image to enlarge. On the 20th anniversary of our first recording, Billboard takes a look at our first 20 years. The inception, the hurdles, and the future. 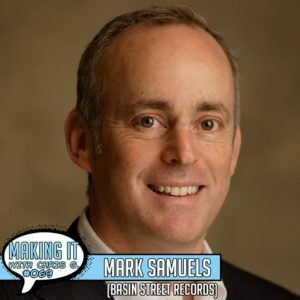 The Cutting Edge Music and Business Conference is honoring our president, Mark Samuels, with a lifetime achievement award during their 25th conference on August 24th, 2017 at the Little Gem Saloon at 7:30p. During an interview with MezRay Tours while they were in town for Jazzfest, Mark actually traces the beginning of the label to Wynton Marsalis, Ben Franklin High School and the Cutting Edge Music and Business Conference. Jazzfest and French Quarter Fest have both made their lineup announcements! 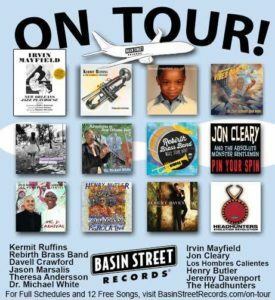 DON’T MISS Basin Street Records’ 20th Anniversary Kickoff at Little Gem Saloon on Friday, May 5, 2017 at 7p. Tickets available now. Click HERE. Carnival season is upon us. Mardi Gras Day is February 28. Got your music? 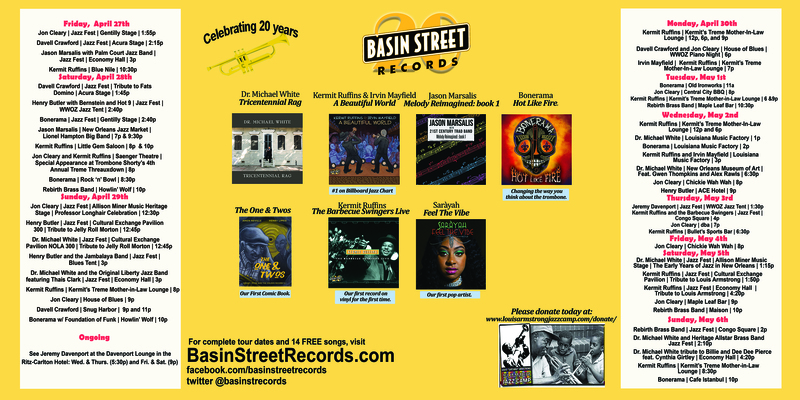 You need Nothing But A Party: Basin Street Records’ New Orleans Mardi Gras Collection. It’s 13 tunes from 7 of our artists. Four of them are Grammy nominees. Three are Grammy winners. Available everywhere cool music is sold. Our Artists Curated This Holiday Playlist for YOU! 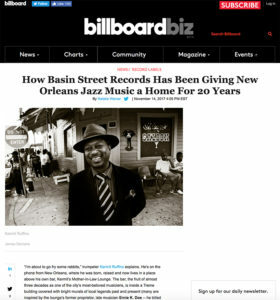 “Spirit of Satch” Award to Basin Street Records! 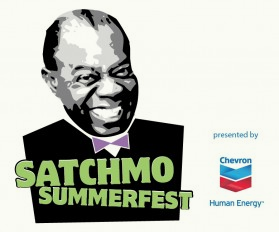 The Satchmo SummerFest is this weekend in New Orleans and the Festival is honoring Basin Street Records with a “Spirit of Satch” award! This is a great honor. There are few people that have graced our planet whose love has brought millions of people together. Louis Armstrong is one of them. We work each day to help our artists follow in his footsteps. Catch Jeremy Davenport and Bill Summers at the festival this weekend.